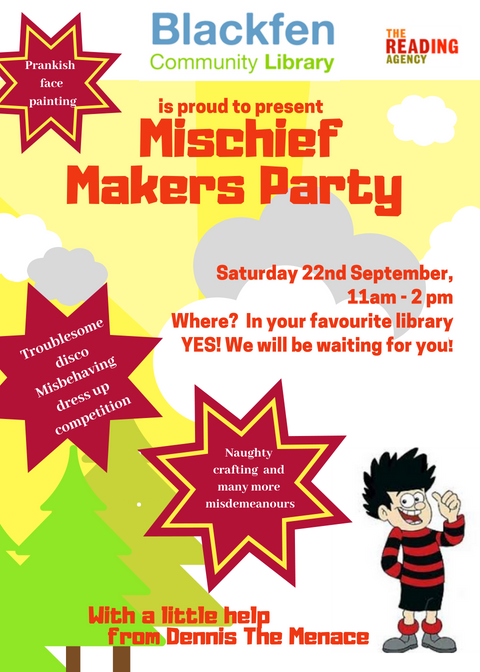 Our Mischief Makers have been working hard completing the Summer Reading Challenge, and so we’re throwing a party on 22nd September to celebrate their achievements! There will be a dressing up competition, crafts, face painting, a disco and much more so come along on from 11am-2pm to join in the fun. All children welcome, whether they took part in the Challenge or not, so see you there!